De Ruijter International USA, Inc. | Congratulations to Ergo Desktop! Home › Congratulations to Ergo Desktop! 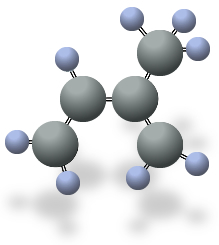 At De Ruijter we have the pleasure of building working relationships with many wonderful people in our industry. Our customers are the backbone of our company and we appreciate all the hard work that they put into making our products so successful. Recently, one of our local suppliers was recognized for bringing a new ergonomic product into the business world. 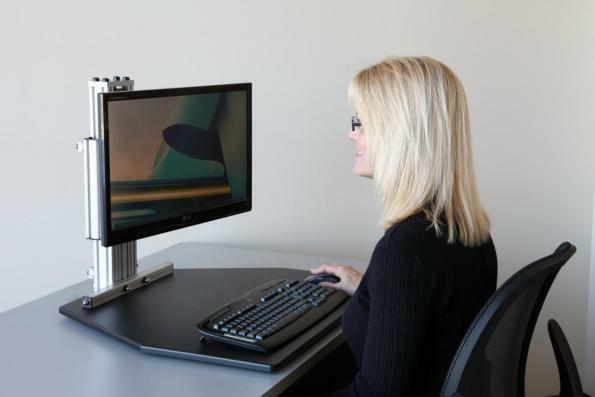 Ergo Desktop, based in Celina, OH, was started in a one-car garage and has now reached the global marketplace. Dan and Kathy Sharkey invented the Kangaroo desktop in 2009 and have customers in about 20 different countries, including NASA, ESPN and Harvard Law. The main selling point is its dual ergonomics. The Kangaroo holds a computer monitor and keyboard at seperate levels and is adaptable to fit any desk. 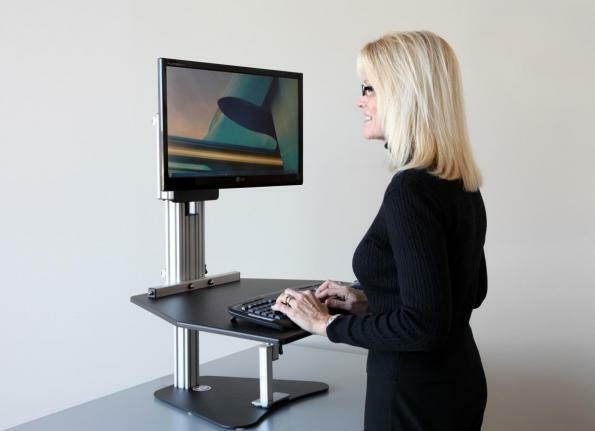 This ergonomic design allows the worker to alternate sitting and standing positions easily, promoting better back health. 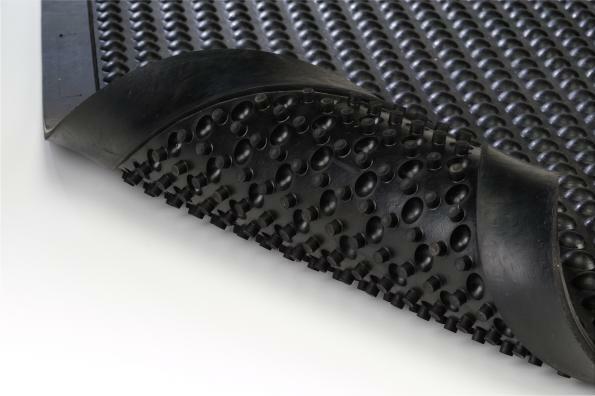 Used in conjunction with De Ruijter's Bubble Mat, clients get optimal anti-fatigue benefits. The Bubble Mat was ergonomically designed for comfort and durability. This mat features dozens of air pockets to provide all-day comfort.